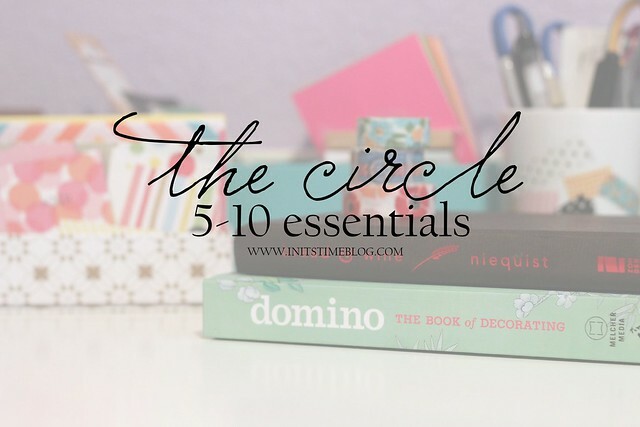 THE CIRCLE NOVEMBER 2014: 10 ESSENTIALS. Happy November, lovelies! I am super excited to introduce you to this month's co-host and topic and then check out all of your posts. It continues to amaze me that people love this link-up as much as I do. You are all sooo awesome. Seriously. 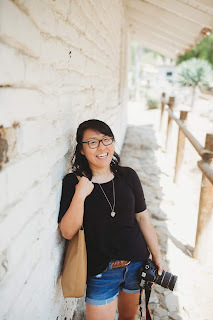 Victoria blogs over at Through * For * By where she hopes that her readers will find something that will brighten their day, encourage their soul, and give them a reason to praise God. 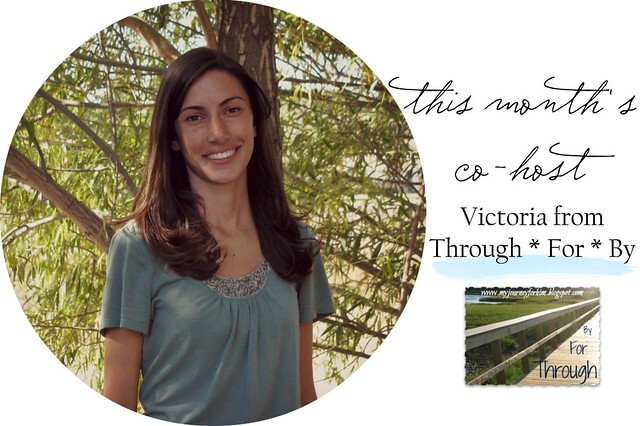 Feel free to e-mail her at victoria.mjfh@gmail.com she would love to hear from you! Yep, I told you Victoria is awesome. That said, don't forget to check out her blog and post to see what her essentials are! When I was writing my post, I had a hard time choosing what theme I would choose for my list of essentials. I could do a general lifestyle one, but after hibernating in this chilly fall weather (think 36 degrees! ), I decided to create a more weather-appropriate one. Think blogging essentials meets cold weather. AKA cold-weather blogging. You didn't know that was a real thing? Well, if you ask me, fall/winter is prime blogging time. Cold weather outside means less time running and frolicking and fields and more time writing and reading blogs. Am I right or am I right? So here's my list. If you have any suggestions to add to it, let me know! 1. PILLOWS (AND COZY BLANKETS) | Cold weather calls for a cozy surrounding and there's nothing like a pretty pillow and cozy blanket to warm you up (and brighten up your space!). 2. MUSIC (LIKE HILLSONG) | If there's nothing on TV, then I'll plug in my earbuds, open up Pandora, and listen away while I type. My favorite stations for writing? Phillip Phillips and Hillsong United. 3. GOOD TV (AKA PARENTHOOD) | We all know Parenthood is a great show (you knew that, right?). Even though it's not usually a blogging TV show (too many tears, I tell ya! ), it's still one of my all-time faves. 4. INSTAGRAM | I find a lot of inspiration and creativity up on Instagram and it's fun to take a little break from typing and check up on what others are doing. 5. NOTEPADS | List-making is my jam and keeping a notepad (or sticky notes) on my desk is a must for this girl over here. 6. STATIONERY | Snail mail is one of my favorite ways to catch up and encourage blog friends. I'm horrible at sending them out, but it's one of my favorite things to give (and receive!). 7. WATERBOTTLES AND/OR MUGS | Gotta stay hydrated, right? I got that cup earlier this year and looove it. Pretty, insulated, and the perfect size, too. 8. ARTWORK (AND A WORKSPACE) | If you ask me, a pretty (and clean!) work area is the best kind of area to work in. 9. HOODIES AND SWEATERS | I'm one of those girls who lives in hoodies and sweaters. I love to be warm and also don't really like my arms (you're welcome for that odd factoid) so hoodies and sweaters solve two problems in one. 10. SNACKS (LIKE SWEET POTATO CHIPS) | I am a major sucker for carbs and sometimes life just calls for a snack. You've gotta feed your brain, right? One of my favorite snacks is those sweet potato chips. Soooo good. So what are your essentials? Do you have essentials for work? Your closet? Or even your family? Or what about blogging--do you have anything to add to my list? I'd love to hear what you come up with and cannot wait to see your posts! Next month we're sharing our Christmas Wishlists! You know you love them as much as I do! I'm secretly hoping to find some gift ideas for some of my friends and families by checking out your lists and I know I'll likely find gifts to add to my own wishlist as well. So write up your list and share them on Wednesday, December 17th! Uhm... those potato chips! I love your list!!! I'm excited to see everyone's essentials! It's probably going to be pretty telling of personalities and hobbies! loving on pretty much all your essentials!! Have to admit, I've never seen Parenthood (was that your mouth dropping :P) but i am so gonna give it a go! I have a really hard time blogging while a TV show is on, but music I can do. Love Hillsong! I am a sweatshirt girl all the way. I have to stop myself from buying all the comfy clothes when I'm out shopping. I'll take another sweatshirt over a cute shirt any day! Winter is a great time to hunker down and write a good blog post. Thanks for hosting! I'm with you on the the socks! This topic is just so fun! I'm loving seeing what individual twist everyone decided to put on it - and yours is just perfect. 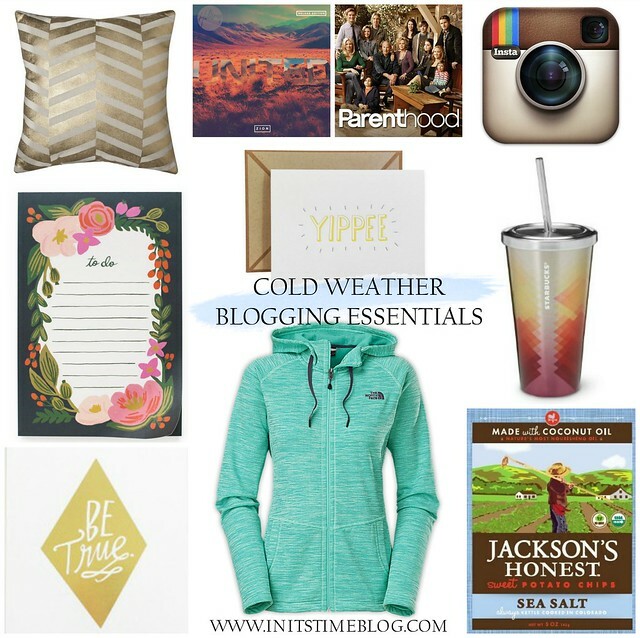 Cold-weather blogging is where it's at right now! I live in sweaters (with down vests over top for extra warmth) when I'm sitting around blogging in the evenings, and I love to do it in front of some good TV too. I was late to the party on Parenthood, so I binge-watched all the seasons on Netflix - soooo good. But that means I wasn't caught up enough to start the current season, so I'll have to wait for that to come out on Netflix next year. hush hush. THAT JACKET AND THOSE POTATO CHIPS!!!!!!!!! This is a great list! The topic you chose is super fun. I love it! This is such a great idea for a link-up! I'm loving reading about everyone's essentials :). Yours look incredibly cozy! All my sisters are really into Parenthood and I haven't started watching it because I'm afraid if I do, I won't be able to get anything else done! The stress of having Netflix and the ability to binge watch :). Yes, my husband and I have been snuggling even more often with our blankets, pillows, and Netflix. It's been so cold and snowy here! 1 Pillows and blankets. Yup. 2 I'm listening to the Phillip Phillips pandora station right now. Literally as I type this. It's my favorite station. 3 Parenthood. Duh. It's amazing. And I replied to Finley down there, because I really want everyone to watch it and enjoy it's amazingness. Yeah, so my top 4 would be pretty much identical to yours. ha! And I agree with you on the topic. When Victoria and I were brainstorming, I was a little unsure but I really love the openness with the topic. It's going to be so much fun to see what people choose! Girl, how could you NOT watch Parenthood? :) Just kidding, it's actually not too popular of a TV show (just well-liked by its audience!). Let me know if/when you give it a go because I'm always game for Parenthood chats. And stationery and pretty paper for list-making is MUST in my book. I can never get enough! It's a Northface hoodie! I wish I owned it myself, but alas, it's on my wishlist. :) It really is pretty, though! And why didn't I think of socks? Seriously, I should add that to my list! For the most part, I can blog and watch TV. BUT, it all depends on the blog post and the TV show. If it's good TV, then I'll save it for when I can watch it all at once (i.e. without pausing it or switching tabs) but if it's New Girl or something, I'll often watch it in the background. Just a glimpse into my crazy mind, haha. And sweatshirts are the besttt. I used to live in them all the time before working. Now I live in cardigans (next best thing when it comes to work wear, right?). But weekends are for hoodies and sweatshirts, that's for sure! Me, too! I was a little unsure because it is such an open topic, but so far, it's been so much fun to see what people come up with! YESSSS is right. :) Can't wait to see your post! I know, right? That jacket and those potato chips. I want both right now!!! I do the same thing. I can listen to all sorts of just ok tv and still blog. However, the really good shows and movies require my whole attention. I love that hoodie, so cute! Those chips look good! Is that a trader joes find? I have yet to go there, i need too though. I am excited for my post to go live on monday. And Parenthood is a definitely DUH. Still so sad that it's in its final season, but so glad we can tweet about it and chat about it, too! And those chips are actually at a local grocery store! I think they're sold nationwide, though. They're so good! Kiki, I've been terrible at actually commenting this month...but I'm going to dedicate some time to going back and doing that now!!! :) I loved what you did with the prompt!!! Everything on your list is perfect. I'm trying to pick a favorite and I honestly can't. They're ALL my favorite! Thanks for letting me co-host with you this month! It's been a lot of fun! Thanks for the grace!!!! I'm going to need a lot of it! These early nights have me falling wayyy behind on my commenting/emailing. :) You'd think it'd be the other way around, but once it's dark outside, I just want to turn off all the electronics and read a book, play a game, or watch a movie. Girl, we ALL need grace. :) And seriously, I don't see it as a bad thing--life happens and sometimes it means putting things like blogging last on the to-do list! BAH - I thought I missed this!!! So excited it's still open! :) Can't wait to go looking through everyone's posts. Sorry I'm so late to the table! You're not late! I actually decided to leave it open until this month's post date (the 17th), which is the first time I've ever left it open that long. You actually just have good timing, really! And I love how you summed up my list of essentials. Blogging really is all about being real and comfortable (both in my surroundings and with myself as a person). You nailed it with that description! And gold and shiny is MY thing, too. Gold is so pretty and I love how it's being used everywhere nowadays! Parenthood is ALL about the tears. All about them. I pretty much have to prep myself for tears to fall. I cannot believe there are only 4 episodes left!! !